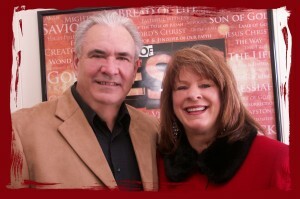 Biography: Clifton and Geri answered the call to ministry in 1977. Since then they have founded and co-founded several churches both in the US and in India. They pastored for seventeen years at the Lighthouse in Paoli, Indiana, leaving there in 1994 to be free to travel in full-time evangelism, and also to be instructors in Colorado Bible College with Andrew Wommack from 1995-1999. They returned to Indiana in 1999 and started Gospel Outreach Church. In 2004 they moved to Farmington, Missouri, and began a new position of evangelist/pastor in an established church there. The Coulters direct a School of Ministry within their church, Grace Family Outreach, and have added a radio broadcast on a local rock station. Geri also hosts a radio broadcast on two country stations in their home town area, teaching on God's love and grace, speaking to the unchurched. They continue to travel, conduct Evangelism and Marriage Seminars and be available as guest speakers in the US and overseas. Strengths: Clifton is an effective evangelist whose heart burns for souls. He is anointed with humor and with the ability to communicate with people. His revelation of God's grace changes lives everywhere he goes. Geri ministers with down-to-earth practical application of the Gospel to everyday life. She is a devoted mother and grandmother with a heart for ministry to families. Family: The Coulters have four children, and fourteen grandchildren.